J & G Fireworks has something for everyone! 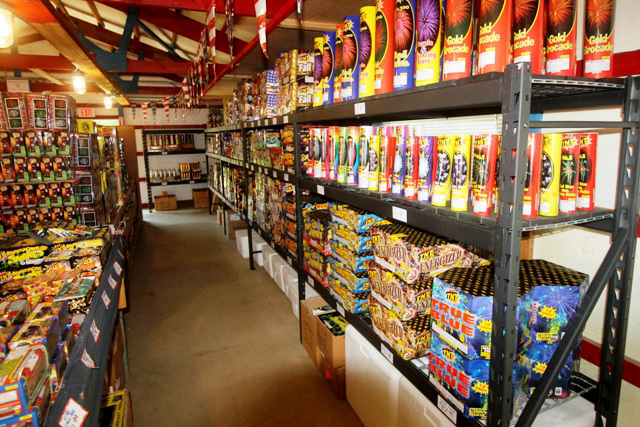 J & G Fireworks has a great assortment of reloadables, rockets, and fountains, priced to fit any budget. We also carry a variety of assortment packages ranging in price from $18.99 to $189.99. Looking for something unique? Check out the “Big Bang” assortment, guaranteed to please any pyromaniac. J & G Fireworks welcomes you to check out the Pro C Series that includes Big Bad Bangers, Sweet 16, Lock and Load, Detonator, and The Arsenal. We carry the largest shells available by law to rock your display. New items are currently in the showroom with many more to come. Consider joining us on Facebook; we have some neat stuff going on. Stop by the “Biggest Little Cracker House in the Country” at 10682 Camp Ohio Road Utica, Ohio 43080 or call us today at (740)745-5321 for questions or more information.